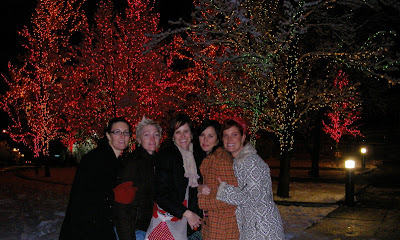 The ladies, post-show, snapping some pics with the beautiful lights outside the Covey Center for the Arts. Thank you to everyone whose hard work made the Bazaar such a success this Christmas, it is always inspiring to get to know the talented folks who participate in the Beehive Bazaar! We truly appreciate all of you who came and shopped it up- showing your support for local handmade artists and crafters- we couldn't do it without you! We are looking forward to another great show in the spring. We wish everyone the best this holiday season.